Rumors have been swirling around Samsung's future smartwatch. 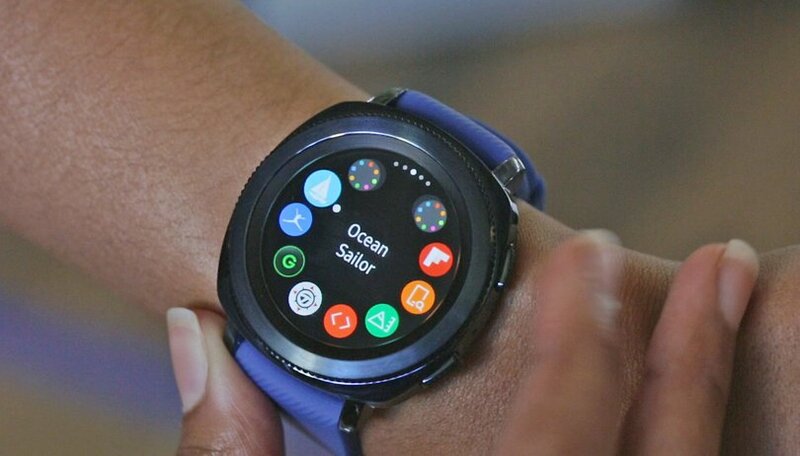 After getting confirmation that the watch would run on Tizen 4.0 (not Wear OS) and on its official name from the FCC, Samsung simply unveiled the new watch on its website... before removing the image moments later. Do you need a smartband or a smartwatch? The Federal Communications Commission has given Samsung the green light. Thus, the Galaxy Watch can officially be marketed in the United States. A schematic of the smartwatch was distributed. The image of the back of the camera, published by the FCC, shows in large letters at the top "Samsung Galaxy Watch". The FCC has also revealed model numbers SM-R815U and SM-R815W for models destined for the US and Canada, respectively. And there's good news about connectivity, but more on that later. The information comes from the most reliable source: the manufacturer itself. On Samsung's US website, the smartwatch was seen in its "Rose Gold" color in a 42 mm size. Samsung then appeared to realized this error, quickly removing the image from the site. Unfortunately, in the photo, only the SM-R810NZDAXAR model name and number can be seen. Information about the smartwatch's features was not yet online. However, the photo shows that Samsung still opted for two buttons and probably a rotating bezel. In addition, the case size is an indication that the Galaxy Watch will be available in multiple sizes. On the technical side, the Galaxy Watch will offer a screen measuring approximately 1.2 inches, or 51.2 mm x 43.4 mm. Good news also, the Galaxy Watch will be 4G compatible and will also offer Wi-Fi connectivity. Finally, know that the Samsung Galaxy Watch could be unveiled on August 9, alongside the Samsung Galaxy Note 9 and the Bixby speaker. Pre-orders will start on August 14, and the trio could be released on August 24. Are you looking forward to this new watch from Samsung? What other features would it need to bring to tempt you? I found my perfect wrist companion in the shape of the Garmin Fenix 5. Two week battery life, always on screen, accurate heart rate and step tracking, competent notifications and enough apps for my humble needs. Built like a tank and waterproof to 100m and the brighter the sun, the easier it is to see. Now if they could just work on that astronomical price it would be simply unbeatable. There's still a market for these things?